I am excited to be sharing my passion for Raw, Quick & Delicious meals across Yoga Tree’s community of yogis! Be sure to join me at any of Yoga Tree’s four locations to learn tips and tricks to make fast, easy, delicious raw food meals. I look forward to seeing you! Join me to learn quick easy ways to nourish your body after yoga! I’ll be doing a quick demo and book signing. 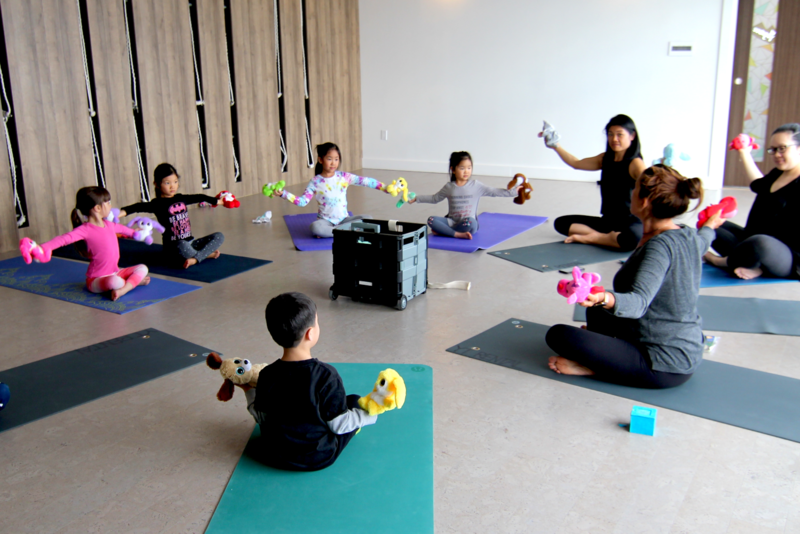 If you missed me at Yonge and Eglinton, you can catch me at Yoga Tree in Richmond Hill! I’ll be doing a quick demo and book signing. Join me for my last trip to Yoga Tree on this tour (but certainly not my last visit to my favorite Yoga studio!). I’ll be doing a short demo and have copies of my book ready to be signed. These cakes are soft and dense and have a wonderful rich, dark chocolate flavor, with none of the hidden ingredients or unhealthy fats of traditional desserts. In a food processor fitted with the metal blade, combine bananas, agave nectar, cacao powder and vanilla. Process until smooth, stopping motor to scrape down sides of work bowl as necessary. Add ground flax seeds and mix well. Cover and set aside for 10 minutes to allow seeds to absorb the liquid and swell. Using a 1⁄2-cup (125 mL) measure, scoop mixture into prepared ramekin and, using your fingers, gently press to distribute evenly. Turn ramekin over onto a serving plate and tap on the bottom to release cake. Repeat until all of the mixture has been used. Serve immediately or cover and refrigerate for up to 3 days. Contributing Author, Doug McNish. Doug is an award winning vegan/vegetarian chef and author of ‘Eat Raw, Eat Well’ and ‘Raw, Quick & Delcious’. He is a consultant, educator, activist, and public speaker who is committed to making organic, plant based foods part of the mainstream diet.